This is NOT information you can ignore! Mobile email marketing should no longer just be an afterthought, as it will account for 15 to 70% of your email opens, depending on your target audience, product and email type (source). More and more, we are seeing articles circulating on the web around the rise in mobile device marketing activity. 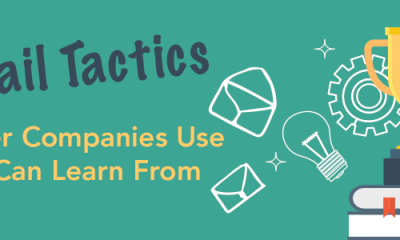 For an example, in January of 2014 Litmus published an online article that stated 49% of email is now opened on a mobile device. 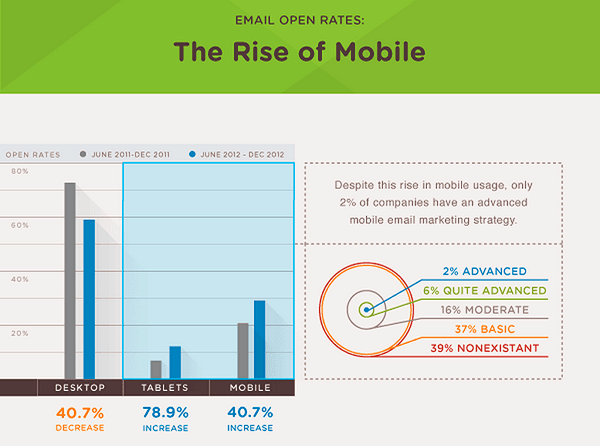 KISS metrics concluded Open rates for email on smartphones have risen over 40% in the past couple of years. Yesmail, a company focused on e-mail marketing solutions, also analyzed data on more than 5 billion marketing e-mails and found that 49% of all e-mails were opened on a mobile device. Okay, okay…now we could go on and on citing stats we found in articles, but I think you get the point. What is the BEST Day To Send Email for Mobile Email Users? 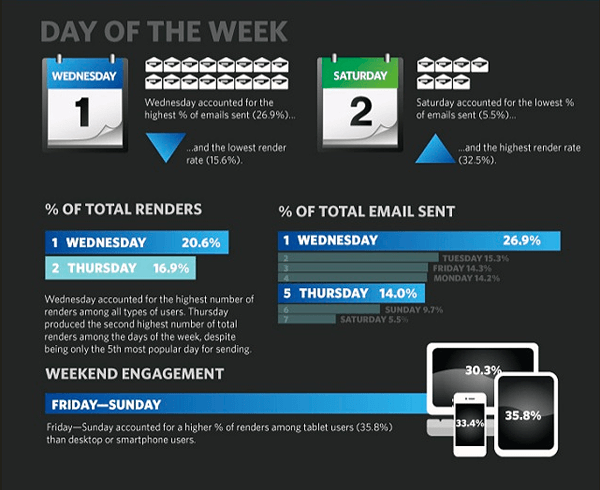 Experts seem to agree that Friday thru Sunday render the most opens for mobile email users. 32% read email on their smartphone during the weekend. 31% sometimes read their mobile email on weekends. Mobile email usage varies with the day of the week. With more than average number of opens on Friday, the mobile email is most often used in the weekend. Friday-Sunday accounted for the highest mobile device render rates. 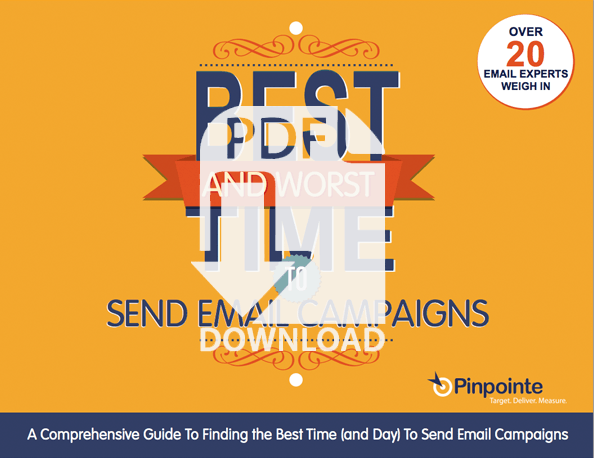 If you want even more information about the best send time for your company, you're in luck! 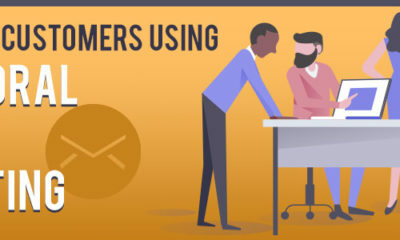 We have tapped into the knowledge of over 20 email marketing experts, we wrote a more in-depth article about the best general send time – view it here. Also, did you know that B2B and B2C send times differ? Learn more now. Now that we have covered the best day to send to mobile email users, we think it's only right to delve into the best time to send to emails to them. 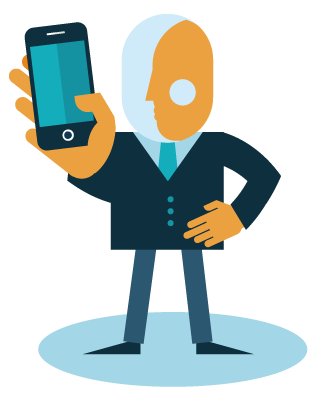 Mobile users obsess over email! How often do you check your email on your mobile device? I would recommend counting the times for one day; it could surprise you. As a society, we are obsessed with being ‘in the know’ at all times and at all costs – this includes checking (and re-checking our email. In fact, MailChimp reports 77% of their mobile use research participants reported checking their email “everywhere” or “obsessively.” These readers have notifications set to alert them when an email arrives. 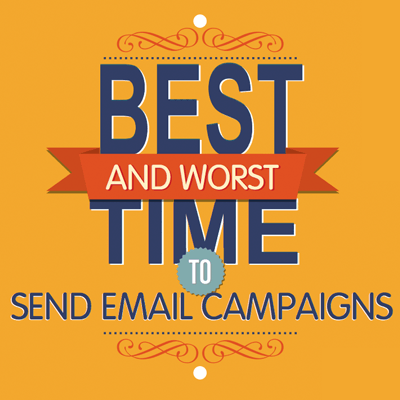 Read more about what the best time of day to send your email campaign – click here. 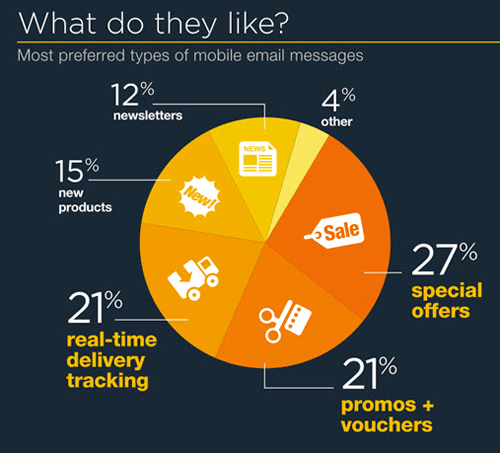 Special offers (27%), vouchers (21%) and real-time tracking (21%) are most preferred email types to receive on mobile. Newsletters are the fifth most preferred type with 12% of respondents saying they like to view that email type on their mobile the most. 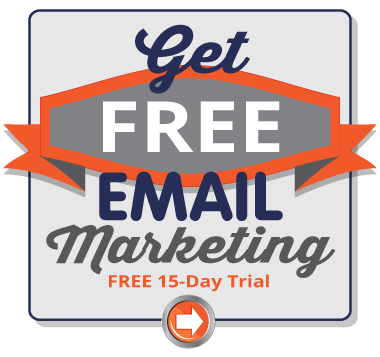 The bottom line…you need to have a good email marketing strategy that incorporates your mobile email users because your email campaigns are are now being read on multiple screen sizes and evolving technology trends. Not only should you take the time and day you email your campaigns into consideration, you should also use a good email campaign previewer before sending all of your emails out. Doing so will save precious time and ensure your mobile viewers are seeing your email campaign as intended. Pinpointe actually offers to its users an application that renders all email campaign previews with 100% accuracy in less than a minute for 50+ email clients – including the top mobile email clients and even helps you debug your html code…talk about handy! In addition, they include one of the largest libraries of pre-tested, responsive email templates that automatically adjust to display correctly on mobile phones, iPads and desktop systems. 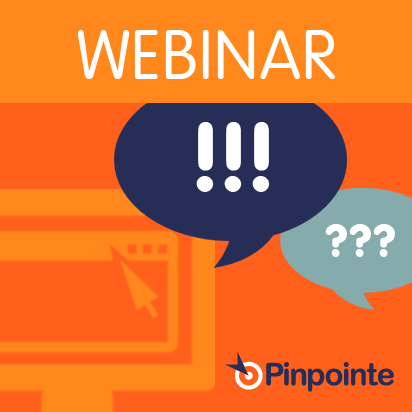 Get started with Pinpointe today and determine the best send time (and day) for email your campaigns and take advantage of our ready-to-use, mobile-ready html email templates. And if you need any help along the way…we've got you covered.